ST. JOHN'S, N.L. 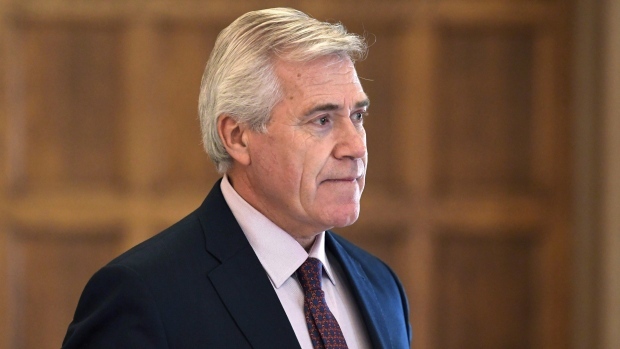 -- Newfoundland and Labrador's premier has invited U.S. President Donald Trump to discuss trade while they view a showing of a hit musical that tells the story of how the town of Gander, N.L., welcomed 7,000 stranded airline passengers after 9/11. In a tweeted letter sent on Tuesday, Dwight Ball describes Trump's recent policies on tariffs as "extremely troubling," and said he hoped to discuss "a positive and mutually beneficial trade relationship" as they watched "Come from Away" together. After the G7 summit in Quebec, Trump called Prime Minister Justin Trudeau "weak and dishonest." The president was apparently angered over comments the prime minister made during a press conference, when he objected to American tariffs imposed on steel and aluminum last month. Ball's letter evokes the province's historic relationship with the United States, recalling how it had stood "shoulder to shoulder" with the Americans in the Second World War, and provided safe and secure military bases for the U.S. military. The letter says Newfoundland and Labrador believes in the mantra that "a rising tide lifts all boats," as Ball reminds Trump of how his small province helped the Americans amidst the aftermath of the September 2001 terrorist attack. Ball says he wants "to discuss the virtues of a positive relationship," and noted the tickets to "Come from Away" would be available at Trump's "leisure" and "hopefully are tariff- free."